I am just another bikie girl who loves to ride, a mild-mannered patent attorney who commutes by bike. When I could not find the clothes I wanted for riding to work, I decided to find a way to make them. I work with independent consultants, designers and contractors in my local community who are experienced in garment production. Our fabrics come from local suppliers and manufacturers. The Hitchable Flounce Skirt is made of 67% Modal, a sustainable fiber made from cellulose extracted from beech trees. Beech trees are soil enhancers, breed naturally and do not need artificial irrigation. The Modal is blended with polyester and Spandex to achieve a soft, gentle drape that lies smooth, moves easily, and resists wrinkles and pilling. 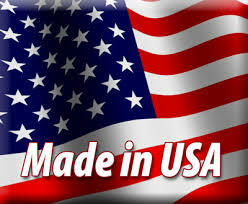 Our garments are made in the United States, sewn right here in Los Angeles. Bicycling for transportation is fun and smart. Bikie Girl Bloomers clothing means you do not have to choose between wearing something that is practical and comfortable, and wearing something that allows you to express your free-wheeling style!